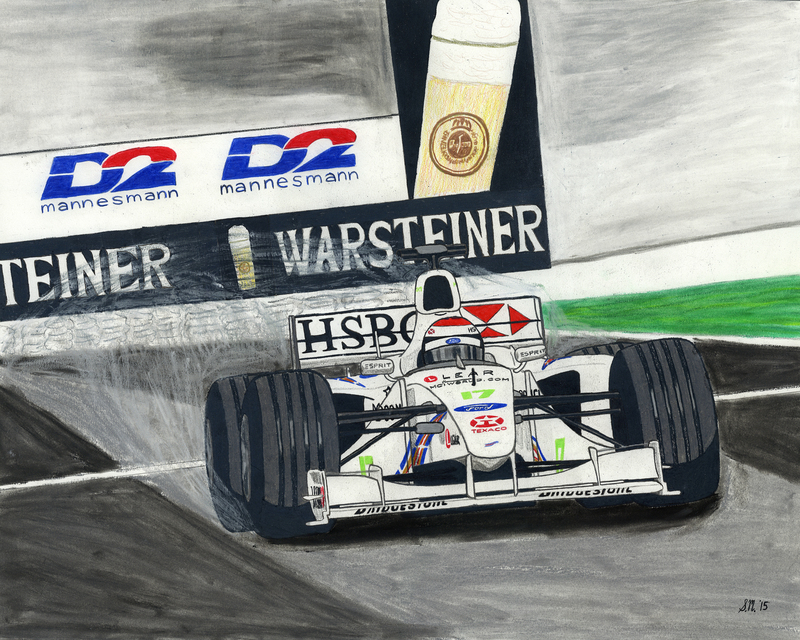 Driving masterfully during changing weather conditions, Johnny Herbert brought home the win in the 1999 European Grand Prix at the Nurburgring; sealing what would be the only victory for the Stewart Grand Prix team. Celebrate that moment with this great reprint, showing Herbert in the closing stages of the race on a drying track. Available in two sizes.